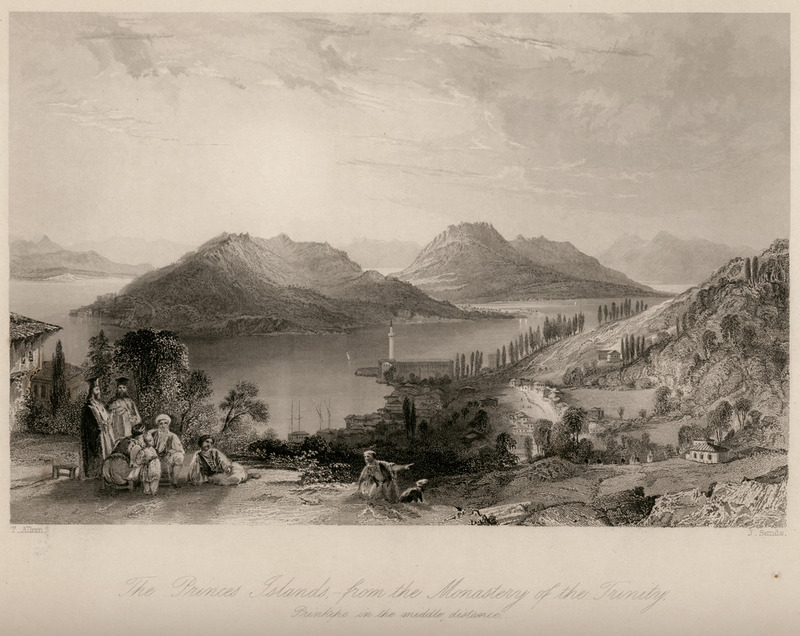 View of Prince islands from the Monastery of the Holy Trinity on Heybeliada island. 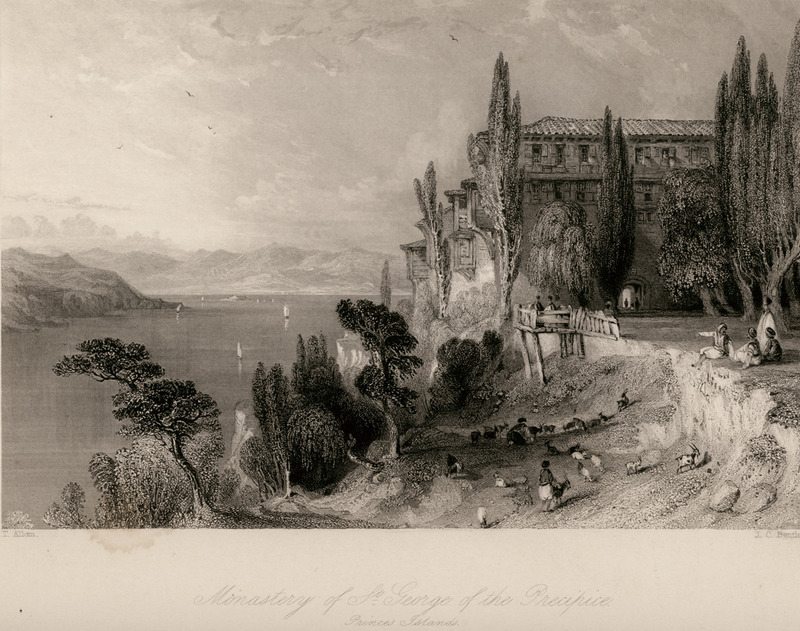 The monastery of Saint George of the Precipice (Hagios Georgios tou Kremnou) on Heybeliada. 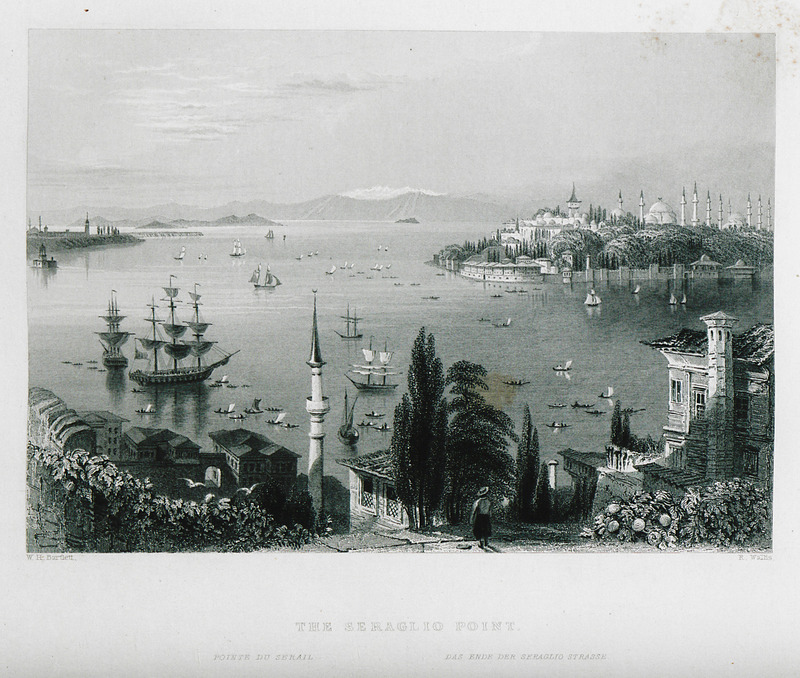 View of Seraglio Point from Karaköy. 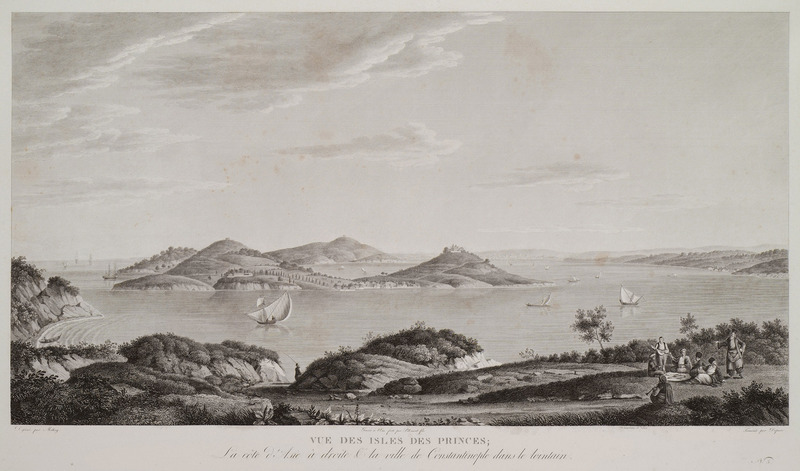 View of the Princes' islands from Kartal, in the Asian part of Istanbul and next to Kadıköy. In the foreground Ottoman men enjoying their supper. 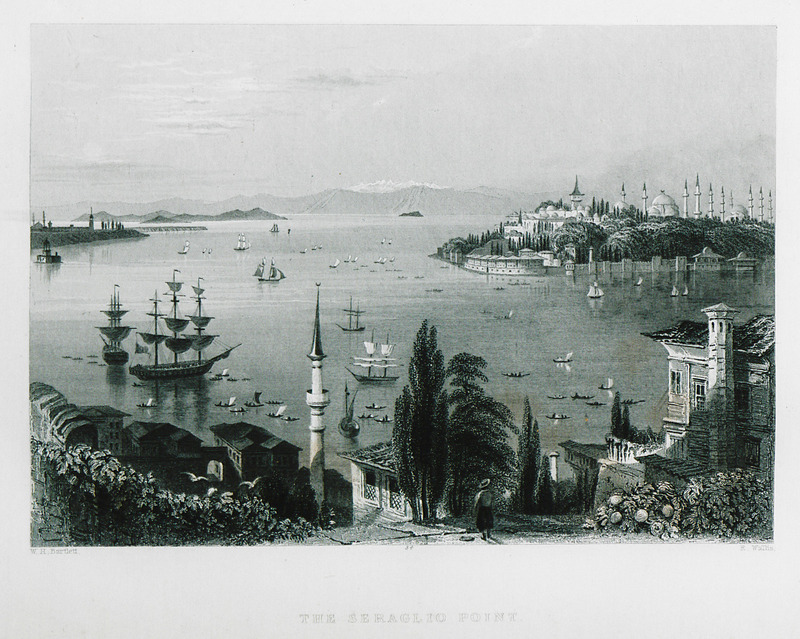 View of the Seraglio Point from Karaköy. In the background the Prince islands. 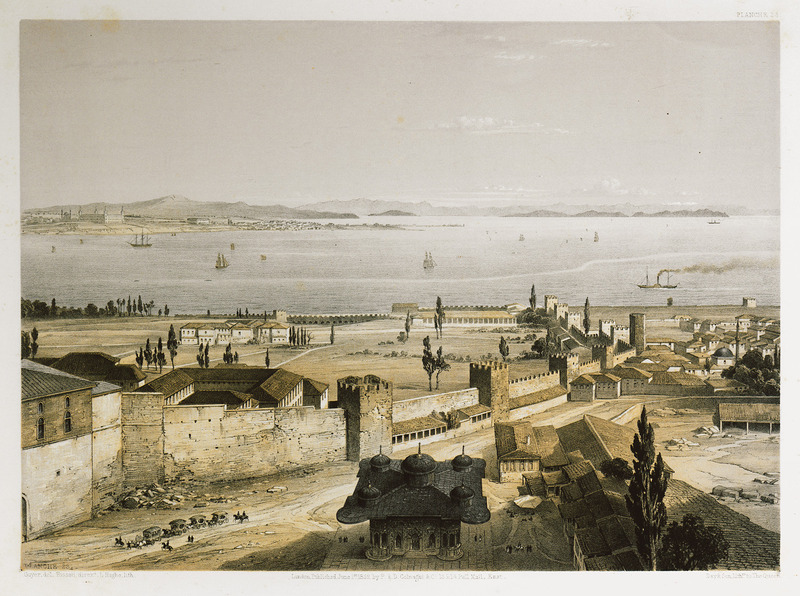 On the left Kadıköy and the Maiden's tower. 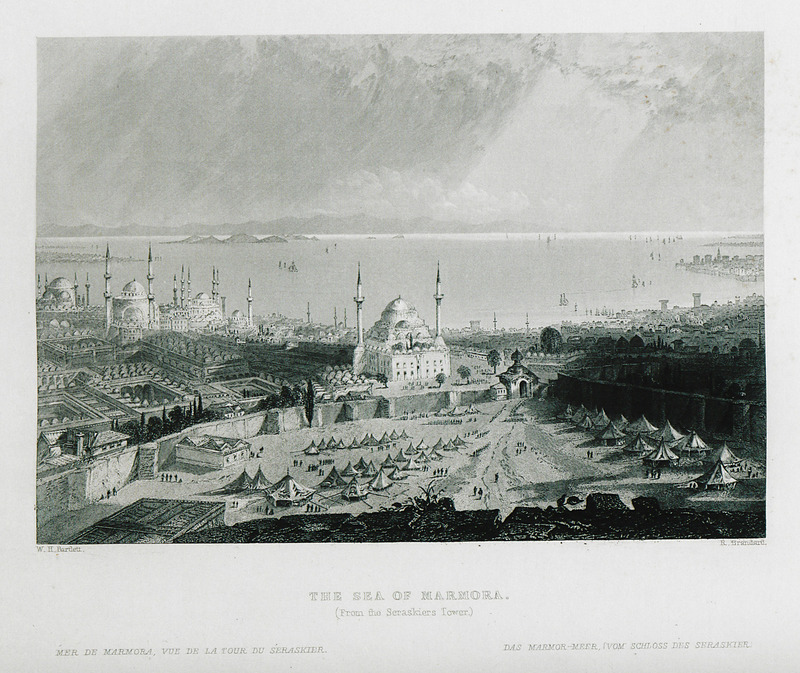 Panoramic view of the Sea of Marmara from the Beyazit Tower, also named as Serasker Tower, on the Beyazit Square. In the foreground the Mosque of Sulatn Beyazit I. In the background Hagia Sophia, the Mosque of Sultan Ahmet I and the Mosque of Küçük Ayasofya. 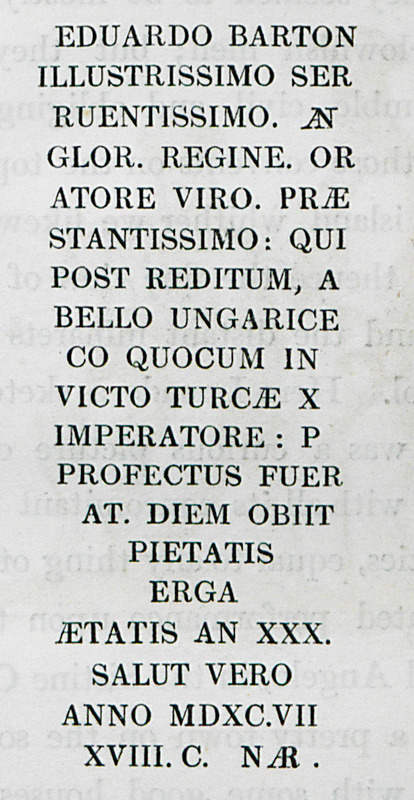 Inscription from the tomb of Sir Edward Barton, the British ambassador to the Ottoman Porte, in the late 16th century. 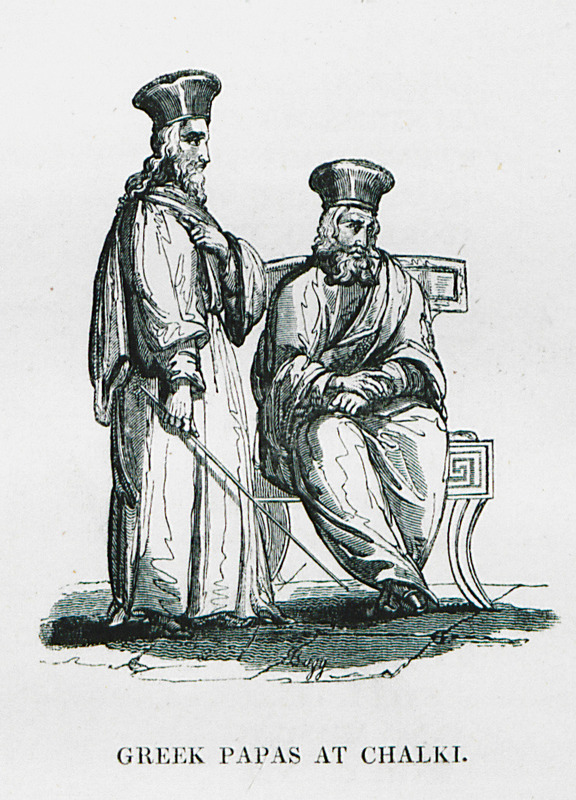 The author argues that this inscription is found at the Monastery of Hagia Triada on Heybeliada (Halki). 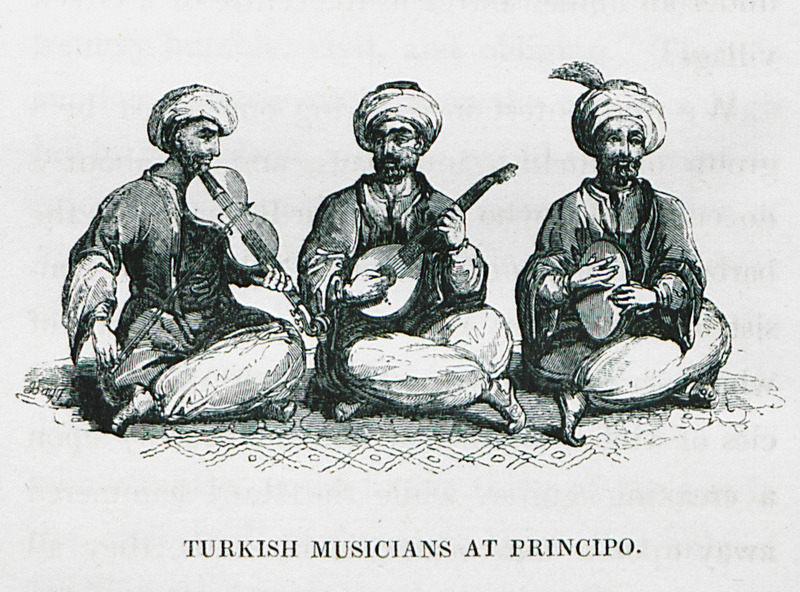 Turkish musicians at Büyükada island. Panoramic view of Topkapi Palace from one of the minarets of Hagia Sophia. In the foreground the Fountain of Sultan Ahmed III. In the background Prince islands.